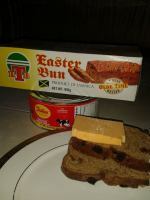 There are many more, but these are perhaps the most popular traditional Jamaican desserts, the ones that I can easily recollect because I enjoyed them so much! 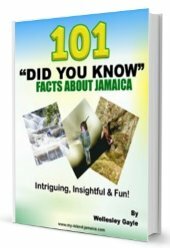 Quite naturally, most of them are products of our flavorsome fruits and vegetables. The coconut and the banana stands tall in this regard. Made with coconuts that is finely diced by hand! No pun intended, that is the name! 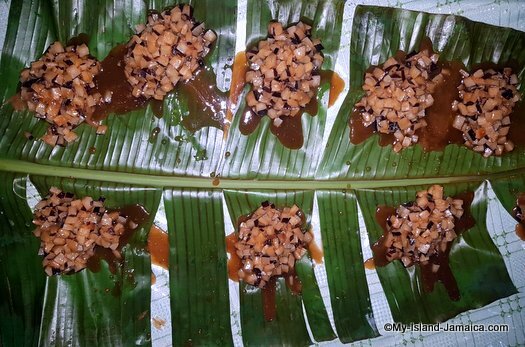 Don't forget to remove the banana leaf wrap! It is also called Dukunoo by the way. 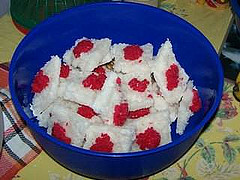 Another confection made from grated coconut and sugar! 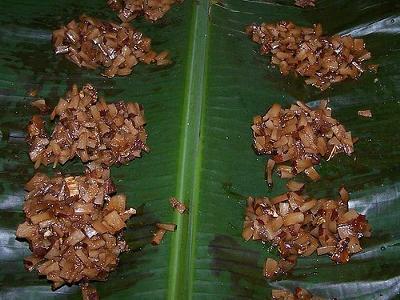 This one is made with grated coconut that is boiled with spices and sugar then paste on the green banana leaf to cool. Very tasty! Quite easy to prepare but by no means any less tasty. Don't overlook the other Jamaican Ice Creams though, equally satisfying are the Sour Sop, Guava, Tamarind, Mango (fresh mango pulp used) and Papaya. Dark and...mmmm! Don't overlook our carrot cake either. The true Jamaican coconut tart, served in a unique pie crust. Very delicious. Usually spiced with raisins and sauces, the most adored are the cornmeal pudding and the sweet potato pudding! Very very delicious. This is now reminding me of my primary school days- couldn't wait until break time! The best! 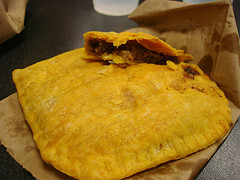 Jamaican patties are reknown the world over. More to come on this. 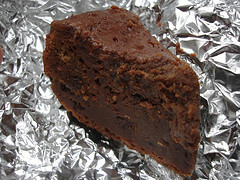 The Jamaican fruit cake is a special occasions dessert. It is made with basic cake ingredients, fruits, and the rum, which imparts a characteristic flavor to the cake. Very nice! Can't bother to prepare it, no worry, there is always the Jamaican peanut man. He's most visible at public events, including concerts, sporting matches, fundays etc. 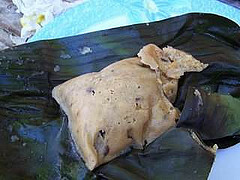 We use ripe plantains (a relative of the banana) as the filling. Equally delicious!